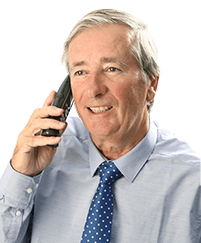 Please find below a selection of Testimonials from Ireland Golf customers. We arrived safely home yesterday morning. It was great meeting you at Tralee Golf Club. The weather made things a little more challenging but it was such a wonderful experience. The weather during the first 5 rounds was beautiful. We’re looking forward to coming back to Ireland. I’ll be sure to reach out to you to set things up. I write to say thank you and express sincere appreciation on several fronts. Firstly, the tour you set up for the Philadelphia eight was first class and all very much enjoyed it. 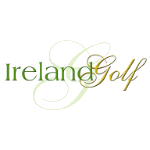 I would have no hesitation in recommending Ireland Golf Travel for any future groups. Everything went extremely smoothly and the first timers to Ireland came away with great memories. Tom & I would also like to thank you for your hospitality at Ballybunion and getting us out in members time. It was a great way to complete our visit to Kerry and we really enjoyed playing with you. I hope to be over again next year and I will be in touch for sure. Pierce, it was a pleasure to meet you when we were at Tralee. We are all back home in Canada now and I wanted to let you know that we all had a great trip which really exceeded all of our expectations. All of the bookings and reservations were efficient. The weather was great and we only had 1 short shower of rain in 8 rounds of golf (thank you for arranging this also). Our driver John was excellent and lots of fun. He added several little side trips which we all appreciated and always helped us with good places for dinner. We all hope to come back again to Ireland someday. Wanted to send you a note of thanks. First, thank you for getting the weather to cooperate with us during our visit. Second, the trip could not have gone better without Kevin, he was the perfect driver – safe and knowledgeable about the area and sites we visited. Thank you again from the group – we will look you up again for our next trip and in the meantime, spread the word. We have just arrived home from the most wonderful trip to Ireland. It was more than any of us expected. The rain fell and the wind blow just as we expected but we loved it. What made the trip however, was our Chauffeur Roy. You have a big gem there. He is so personable and knowledgeable and able to tell Irish stories and knew where to take us. We had a great time and we want to thank you and Ireland Golf Travel for setting this trip up for us. You did a wonderful job. Our next trip to Ireland will be through you and I will go out of my way to recommend Irish Golf Trip to all and everyone I can. Just wanted to thank you again for all your hospitality. The day at Ballybunion was a perfect way to end a perfect trip. It was everything that is great about golf and the course is spectacular. I will be back again with another group. Pierce, it was nice to meet and play golf with you last week. Wanted to tell you how much we enjoyed our trip. Hotels and food were all very good. The golf courses were excellent. Thanks for everything and I hope to see you again sometime soon. The golf courses were excellent. I just wanted you to know how grateful I am for the wonderful golf vacation you put together for us. I know that it wasn’t by accident that a trip such as that, with so many moving parts was executed flawlessly. The people that we dealt with were helpful and friendly and I hope to visit Ireland again soon. I will absolutely recommend experiencing Irish golf and your company especially every chance I get. Just wanted to pass along thanks from all the guys. We had a great time and the trip could not have been better. We will be looking to book another one very soon. Thanks for everything. We all made it back home safe and sound. I wanted to drop you a note thanking you for a wonderful job setting everything up. The trip could not have gone any better. The accommodations were great and our coach and Chauffeur Robbie were perfect. Robbie was excellent in picking some “non-golfing” spots for us to enjoy. Our itinerary was a bit daunting to say the least but he performed valiantly getting us from place to place. Thank you also for getting us all on Tralee. We all loved it.